Being married and raising children are two of the greatest honors a man can have. Being a family man is not always an easy job, as there are many circumstances in life that are challenging and difficult. How you handle the situations and what you learn from the adversity is what defines you as a man. Though there are tough times there are far more positive times. The rewards of parenthood are priceless. Nothing compares to the love of a child. 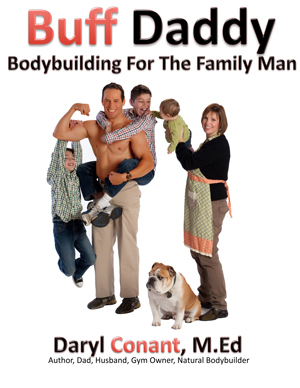 This book is for those family men who understand their role as a Dad, can relinquish their selfish ways, and find the happiness rewards from teaching and nurturing their children to become good, respectable adults. Being a physical, emotional, and spiritual contributor in your child’s life is the greatest gift you can give them. In order to be a Buff Daddy you must exercise all aspects of the human experience. By developing mind, body, and spirit you will be equipped to handle all that life has to offer and will be able to grow into a stronger, more endearing person.